Recipient of the 2010 Oslo Business for Peace Award, William (Will) Rosenzweig is an internationally recognized entrepreneur, educator and an avid gardener. Will has spent over 25 years cultivating thriving startups while teaching and mentoring mission-driven entrepreneurs around the world. Will serves as a Senior Advisor to Generation Investment Management, a public and growth equity practice chaired by Al Gore. Will was founding CEO (and Minister of Progress) of The Republic of Tea and co-author of The Republic of Tea: How an Idea Becomes a Business, which was named one of the 100 Best Business Books of All Time. Will has served on the professional faculty of the Haas School of Business at UC, Berkeley, since 1999 where he is a Social Impact Fellow. He currently leads Food Innovation Studio, a cross-disciplinary graduate innovation course, and Edible Education 101 with Alice Waters. Will is also managing partner of Physic Ventures. In 2015, Will founded and was named Dean of The Food Business School at The Culinary Institute of America and in 2016, he was named one of seven people shaping the Future of Food by Bon Appetit magazine. Adrian helps companies build sustainable and regenerative business models and is also a lecturer at Berkeley Haas on food innovation. He has worked at Patagonia within its Venture Capital arm Tin Shed Ventures helping author a standard for Regenerative Organic Agriculture and exploring Regenerative Organic Land Funds. 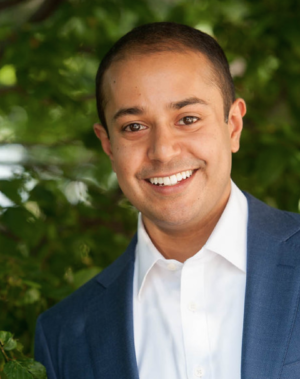 He is a graduate of Berkeley Haas’ full-time MBA program. At Haas, Adrian was a portfolio manager of the Haas Socially Responsible Investment Fund, a member of the Center for Responsible Business’ Student Advisory Board, and co-taught a speaker series on Transformations in the Food Industry. Prior to Haas Adrian worked at Morgan Stanley for six years and helped long time horizon investors manage their asset allocations. Adrian received a B.A. in English from Williams College, studied English literature at Exeter College, Oxford University and holds the Chartered Financial Analyst designation. He’s an avid chef, backyard farmer and budding yogi. Why did Stone Barns Center initiate the Entrepreneurship Intensive for Farmers? We are about to witness the largest retirement of farmers in U.S. history. There are now more farmers over the age of 75 than between the ages of 35 and 44. Meanwhile, 400 million acres of farmland are slated to change hands in the next two decades – an area roughly four times the size of California. Our future hinges on the investments we make today in the next generation of farmers. Helping beginning farmers succeed is crucial to creating a sustainable food future. And that includes giving them the tools to build successful, resilient, entrepreneurial businesses. There is not enough support for farmers to learn these skills in the current training environment, and our new program seeks to fill that gap. Entrepreneurship is a practice that transforms ideas into tangible actions and impact. It is not a genetic trait; it can be learned. Entrepreneurship engages a set of mindsets that rely on resourcefulness, initiative and grit and combines them with skillsets like reflection, ethical leadership, and win-win negotiation as well as toolsets like the creative tension model, business model canvas and lean methodology. This intensive program provides a dynamic, experiential curriculum for farmers that is sure to be challenging and transformative. What will participants do during the intensive? 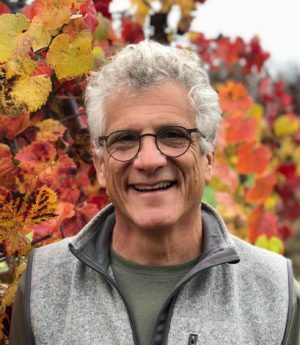 During the five-day intensive at Stone Barns Center for Food and Agriculture, you will learn about the principles of entrepreneurship from UC Berkeley’s William Rosenzweig. With the rest of your cohort and visiting experts, you will investigate the coursework themes around Stone Barns’ farm campus and return to your farm with an innovative business framework and financial model in hand. The intensive is meant to be a fun and immersive experience, but it is not a vacation. Be prepared to get your hands dirty and work hard together. Do I need to come with a business plan? Part of your 5 -10 hours of required pre-work in November will include writing down your goals for your farm over the next five years, but you do not need to come with an established business plan. What will the pre-work include? Where will attendees stay overnight during the intensive? Attendees will live in dormitory-style guest housing in close proximity to Stone Barns. Can attendees bring family members with them? The intensive and accommodations are designed only for attendees. Laptops will be needed for the intensive sessions. Please let us know if you do not have one. A car is not needed for the intensive. Housing is located near Stone Barns Center and shuttle service will be provided between the intensive and guest housing. Taxi service, Lyft and Uber are available to Sleepy Hollow/Tarrytown, where there are car rental services and the Metro-North train line into New York City. What is required after the intensive? Participants will form a peer-learning cohort who will continue to support each other and commit to monthly check-ins (by telephone) for one year after the intensive. How many people will be accepted to the inaugural cohort? Up to 24 applicants will join the inaugural cohort. How do I apply for the 2018 Entrepreneurship Intensive? Qualified candidates are encouraged to complete the application form, which includes submitting your contact information, writing responses to 2-3 open-ended questions, and recording a video (optional). Applications are due by Saturday, September 22 and applicants will be notified by Friday, October 12.
Who can I contact if I have further questions about the Entrepreneurship Intensive? You are welcome to email us at GFI@stonebarnscenter.org, or call us at 914.366.6200 x150.